1989 - Michael Jackson in concert at the Memorial Sports Arena in Los Angeles, US. The Cleveland School massacre occurred on January 17, 1989, at Cleveland Elementary School in Stockton, California, United States. The gunman, Patrick Purdy, who had a long criminal history and was later determined to be mentally ill, opened fire on the school's playground with a semi-automatic rifle, shot and killed five schoolchildren, and wounded 29 other schoolchildren and one teacher, before committing suicide. His victims were predominantly Cambodian or Vietnamese refugees. Then-Mayor Barbara Fass' subsequent work on gun control received national attention and sparked nationwide efforts that sought to ban semi-automatic military-style rifles like the one used in the shooting. Popular singer and song writer Michael Jackson paid a visit to Cleveland Elementary School to see the children and families effected by this tragedy on February 7, 1989. Michael had just returned from his Bad World Tour. 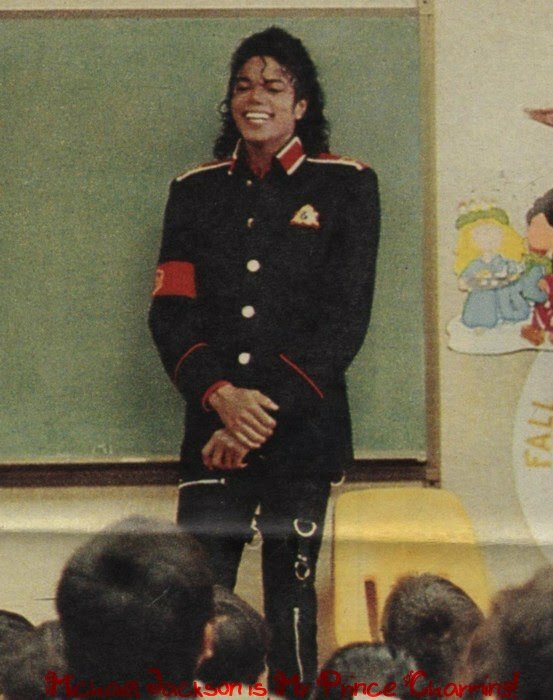 He arrived at the school to comfort the surviving children by giving them confidence to view the world more positively after such a traumatic experience. Patrick Purdy may have destroyed many lives that day, but Michael Jackson's presence helped bring more attention and compassion to the victims than anybody else on planet Earth could have done in a hundred years. 1994 - Michael Jackson opened his Neverland Ranch in a Martin Luther King Day celebration for 100 inner-city children who excelled in school. Jackson spent Saturday mingling with the children, posing for photographs and signing autographs. 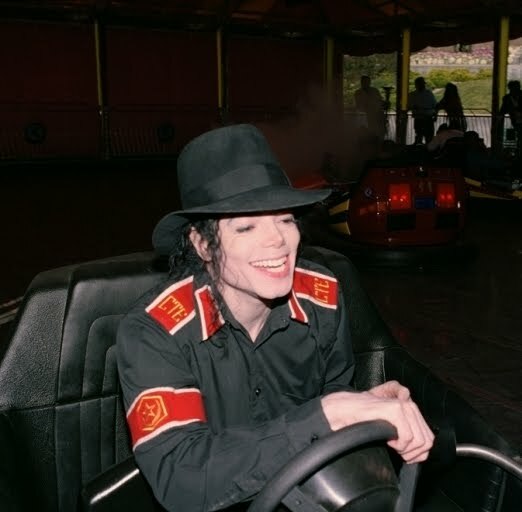 The children watched the movie "Beethoven's 2nd" in Jackson's theater and then visited his amusement park and zoo. "This was a reward for them, and especially on the birthday of Martin Luther King Jr., it is a very special occasion. These kids will never forget. We thank Michael for making this an even more memorable day," said Chilton Alphonse, founder of South Central Los Angeles' Community Youth Sports and Arts Foundation. Fifty of the children came from Alphonse's organization, and the other 50, from Second Baptist Church. "Michael has been a friend for the past five or six years and he's been very generous to us," Alphonse said by telephone from Neverland. "You hear all these negative things and I don't believe them. A man is innocent until proven guilty." 2000 - Michael Named Favorite Artist Of The 1980s at the 27th Annual American Music Awards. From the results of an internet poll, named Michael Jackson favorite artist of the 1980s, Stevie Wonder of the 1970s, the Beatles of the 1960s and Elvis Presley of the 1950s. 2002 - It was announced that Michael's vocals are used on "It's Not Worth It" - a brandnew song off Brandy's new album titled "Full Moon", due in stores March 05, 2002. This entry was posted on 17 January 2011 at Monday, January 17, 2011 and is filed under 1989, 1994, 2000, 2002 . You can follow any responses to this entry through the comments feed .